The children in Mrs. Silva’s class are working on a project about community helpers, guided by the question, “Who are the community helpers in our neighborhood?” At the beginning of the project, the children took a walk through their neighborhood and spotted a fire station around the corner from their school building. They asked Mrs. Silva to send an e-mail to the fire station, asking if a firefighter will come to their classroom to talk about what it is like to work for the Fire Department. During a class meeting, the children generate questions they want to ask the firefighter and Mrs. Silva writes their questions on a large tablet so all the children can view them. The children are especially interested in the siren on top of the fire trucks they have seen, and they want to know the purpose of the fire hydrants they have seen outside on the sidewalks. Mrs. Silva mentions these questions in her e-mail. A few days later the fire chief replies to the e-mail and offers to send a firefighter and a fire truck to the school. Before the visit, Mrs. Silva reads the book Fire! Fire! 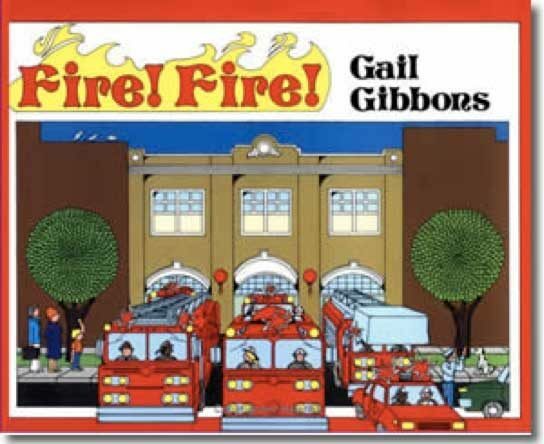 by Gail Gibbons and facilitates a discussion of the role of firefighters in the community. The children learn a lot during their visit from Firefighter Jim, who shows them the different parts of the fire truck and explains how fire hydrants work with the fire hoses. The children make observational drawings of the fire truck. Mrs. Silva takes pictures of the fire truck and posts them in the classroom. The children decide to make a replica of the fire truck to put in their dramatic play area. They use an old refrigerator box and chairs. The children paint and decorate the box together. The children also create a fire hydrant using boxes, plastic containers, and paint. The completed truck and fire hydrant are available during small group and center times. Mrs. Silva provides a hose for the hydrants as well as some large jackets, hats, and boots so the children can dress like firefighters. Mrs. Silva plans to use all of these materials during a small group lesson about location and ordinal position. We will show how Mrs. Silva and Mr. Chung facilitate this activity while integrating the targeted benchmark. Aiden has a diagnosis of hearing impairment and has a moderate hearing loss both ears. He wears two hearing aids. His parents have elected for him to receive speech only instruction and he is not being instructed in American Sign Language. Olivia has Down syndrome and a developmental delay. Most of her needs are related to cognitive skills and self-help skills. Reggie has a diagnosis of autism. He has advanced verbal skills but has trouble staying on task for even brief periods of time. He is very directive in play situations with peers and is resistant to changes in routines. The children are working on a project about community helpers in the neighborhood surrounding their school, which is located in the downtown area of their community. Their project’s guiding question is, “Who are the community helpers in our neighborhood?” So far, the children have done a walk through the neighborhood and have discovered a post office, a fire station, school, and a small public library. To prepare for the project, Mrs. Silva has gathered the materials needed to make the dramatic play area into a post office, a fire station, and library. She and the children plan to convert the dramatic play area into each of these places as the project evolves and children focus more intently on specific community helpers. A small group of 4–5 children meet at the center. Mrs. Silva briefly reviews the book, highlighting the roles and responsibilities of firefighters. During the activity, the children will act out the roles of the firefighters. Mrs. Silva starts the lesson by helping children choose roles. They can sit in the front of the truck and take turns driving it or they can ride in the back and use the hose to put out the fire. Mrs. Silva provides children with choices such as “Who wants to drive the fire truck?” and “Who can operate the hose?” Children volunteer until each child has a role. Mrs. Silva describes the dramatic play scene (e.g., “The fire station just got a call to put out a fire. Quick, firefighters, get in the truck! Let’s drive to the fire and put it out!”). As she does this, she helps the children get in place for their roles in the scene. 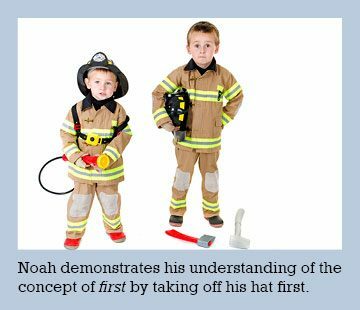 Mrs. Silva: Why do firefighters wear heavy jackets and hats? Tim: So they won’t get burned in a fire. Mrs. Silva: That’s right! Put on your jackets and hats. Mrs. Silva: What helps the firefighters stay safe as they drive to the fire? Mrs. Silva: That’s right! Buckle up! Mrs. Silva: What should you do if your clothes ever catch on fire? All children (in unison): Stop, drop, and roll! Mrs. Silva: Why does the fire truck have a loud siren? Noah: So that other cars will let the truck go by. Mrs. Silva: There is a fire down the street. Let’s drive the truck to put it out. Which firefighter will get out of the truck first? Mrs. Silva: Who will get out second? Olivia: The passenger in the front seat. Mrs. Silva: Who will get out last? Tim: The firefighters in the back seat. Mrs. Silva: Now we are back at the fire station and need to take off our uniforms. What do you need to take off first? Mrs. Silva: What will you hang up next? Mrs. Silva: What will you take off last? Mrs. Silva collects anecdotal information (e.g., photos, notes) that illustrate and describe children’s understanding of math concepts as they participate in the lesson. Children who have trouble with the activity are invited to attend other small group activities that address the particular benchmark. At snack time, Mrs. Silva asks the children what they will put on top of their napkins. During transitions, she asks children who is standing in front of and behind them in line. During the class meeting time, she asks for a volunteer to go first. Child has skills in identifying first and last but has trouble identifying more discrete number orders such as second, third, and fourth. Teacher directs “first” and “last” questions to this child (e.g., “Who gets out of the car first?” as opposed to “Who is second in line?”) so the child experiences success in answering questions yet also learns about more discrete number orders (second, third, etc.,) from listening to peers’ answers and the teacher’s explanations. Child has receptive understanding of directions (e.g., pretends to put on a seatbelt when asked) yet responds to questions in home language. 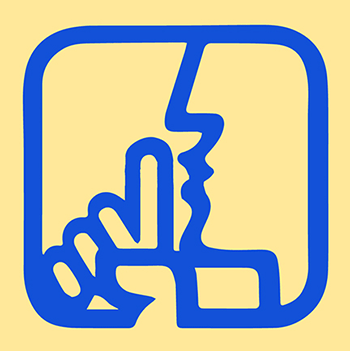 Teacher validates and encourages child’s use of home language (e.g., gives her a thumbs up when she answers a question). With help from parents or cultural mediators, the teacher creates labels in the child’s home language and affixes them to items that reinforce project work vocabulary words (e.g., seatbelt, truck, hose). The teacher learns some key words in the child’s home language. Mrs. Silva also models key vocabulary to the child in English (e.g., “This is a seatbelt. It keeps you safe in the car.”). Child has advanced verbal skills but has trouble staying on task. During the activity, this child attempts to answer all questions. Teacher directs questions to individual children instead of asking for volunteers (e.g., “Carlos, will you please drive the fire truck?” instead of “Who will drive the fire truck?”). Teacher also provides a visual support by showing the child a “quiet waiting” card while he waits for a turn to speak. Child wears two hearing aids and is receiving speech only instruction. The child also can read lips. Teacher faces the child whenever she gives instructions to the group or to this child. She encourages peers to do the same. Teachers minimize distractions, obtain the child’s attention when speaking, and allow extra time for processing. Throughout the activity, child has trouble controlling enthusiasm and continually makes siren noises and pretends to spray a fire hose. Teacher uses preventative strategies to prepare him for the activity by explaining what is expected during the activity (e.g., “During this activity, we will be talking about first and last. We will also be talking about position words like under, on top of, and next to.”). 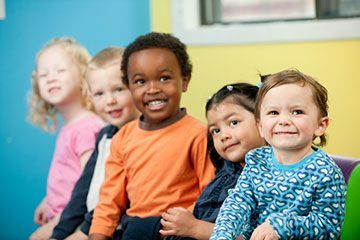 At the beginning of the activity, the teacher gives the child the task of “teacher’s helper.” The child helps assign roles and actions to the other children. 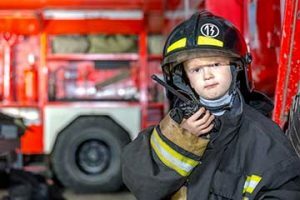 After seeing behaviors appropriately modeled, the child takes a turn as a firefighter and is offered many chances to pretend to “spray the hose” at appropriate times during the activity.